PG&E customers would see their rates double nearly overnight if devastating utility-caused wildfires continue to sweep through California as they have the past two years, a UC Berkeley utility expert warned Wednesday. But it's not just PG&E customers who could face skyrocketing rates. In a two-page memo prepared for Gov. Gavin Newsom's office, Steven Weissman — a former administrative law judge at the California Public Utilities Commission — said that without "fundamental changes to law or industry structure," and assuming that wildfires continue at recent levels, the average electricity customer statewide would experience a 50 percent rate hike in the first year alone. That's not the only potential consequence, he wrote. If electricity rates skyrocket, he said, California's ambitious goals to reduce greenhouse gas emissions would be threatened, as would the adoption of electric vehicles; businesses would suffer; and electric service would become less reliable even as rates climbed. In an interview, Weissman said while much of the focus in Sacramento this year is around stabilizing the three major investor-owned utilities — PG&E, San Diego Gas and Electric and Southern California Edison — the state also needs to plan for the longer term by tackling the underlying problem of preventing and mitigating fires. PG&E filed for bankruptcy protection in January, and the other two utilities saw their bond ratings downgraded in recent months, leading to fears that they could be just one fire away from bankruptcy as well. "We don't know for certain that there will be fires as catastrophic as the 2018 fires and 2017 fires every year, but we certainly are seeing a pattern developing that ought to be raising a tremendous amount of concern," Weissman said. "And to me, the answer really lies in more aggressively and comprehensively working to reduce the intensity of the wildfires that are inevitable — and that's going to, I think, require a top-down managed approach by the state in coordination with local governments." 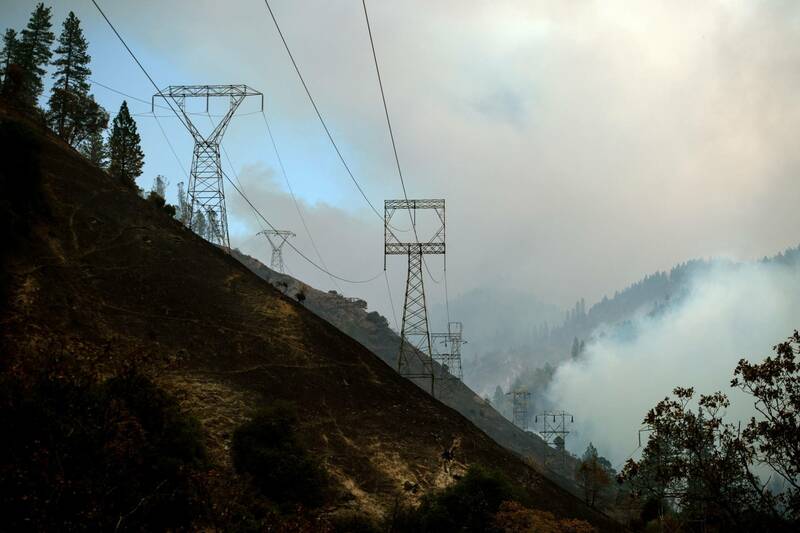 Last year, state lawmakers approved a bill that will let utilities issue bonds to pay for the cost of the 2017 fires — and pass those costs along to ratepayers. But Weissman wrote that mechanism is not sustainable if fires continue, since debt is paid off over time and since utilities historically rely on debt to invest in infrastructure. "As the utility borrows more and more money, it puts itself in a position where it's going to be perceived as being too risky to invest in. And so it's not a sustainable process," he said. "So that means if the utility is going to be recovering costs at all, it's going to have to do it directly, year in and year out, rather than hoping to spread out the cost over 10 or 20 years per fire." There would be other unintended consequences of a drastic increase in utility rates, Weissman added. Californians are used to extremely reliable electricity — but if rates rose because of ongoing, massive fire costs, utilities would be under pressure to cut other costs, he said. "And I think it's quite likely that over time, that will lead to reductions in some of the other things that help keep service reliable for people," he said. "The number of service technicians available, the ability to respond as quickly and as wonderfully as utilities currently do when there is a major catastrophe or a major outage. Maybe even the timing of the replacement of key equipment. But certainly it will be very tempting to reduce the amount of money that's just spent on overall maintenance, and all those things over time will erode the reliability of service." Weissman, a lecturer at UC Berkeley's Goldman School of Public Policy and former adviser to two CPUC commissioners, said he based his findings on a study of CPUC rate cases, revenue reports from the utilities and historical patterns "in order to understand what the implications would be for increases of the scope and magnitude that seemed to be inevitable if we continue with this pattern." Weissman's report, which was requested by the governor's office, illustrates the huge challenges ahead for Gov. Newsom and lawmakers. Newsom — who took office just weeks before PG&E's bankruptcy filing — is expected to unveil a more comprehensive report on Friday outlining possible ways forward.